Breast augmentation surgery is one of the most popular procedures performed by plastic surgeons. Breast implants not only enhance the size, shape, and balance but they also improve body symmetry and balance. Implants can be usually filled with either silicone or saline solution. So which ones are better? How long does the surgery take? And what are the pros and cons of saline & silicone breast implants? 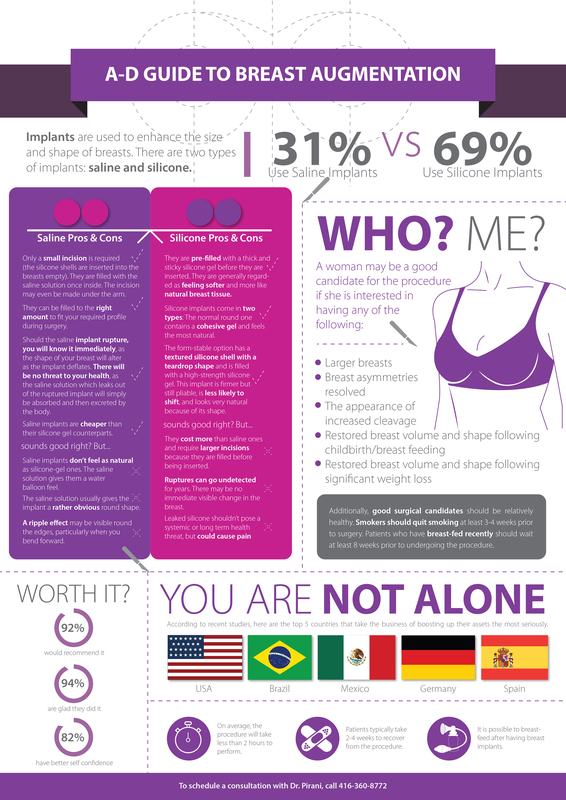 Those and many more answers about breast augmentation procedure can be found in the following infographic prepared by The Toronto Plastic Surgery Center.